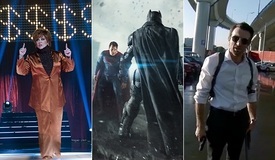 FANDANGO REVEALS ITS 2015 HOT LIST OF THE MOST ANTICIPATED MOVIES AND ACTORS, LED BY "STAR WARS: THE FORCE AWAKENS," JENNIFER LAWRENCE & ROBERT DOWNEY, JR.
LOS ANGELES - December 30, 2014 - Fandango, the nation's leading moviegoer destination, surveyed more than a thousand fans in the last week of December, asking them about the films and stars they are most anticipating in the new year. "Star Wars: Episode VII - The Force Awakens" was selected by the fans as their most anticipated movie, while Jennifer Lawrence and Robert Downey, Jr., were picked as "Fan Favorites" among actors and actresses starring in 2015 movies. 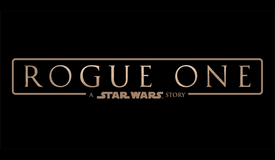 Commenting on "Star Wars"' top ranking, Fandango Chief Correspondent Dave Karger points out, "It's been a decade since the last installment of the most beloved sci-fi fantasy franchise of all time, and kids of all ages are eagerly anticipating the revitalization of the series next December." For the second year in a row, Jennifer Lawrence ranked as Fandango fans' top pick among female stars. 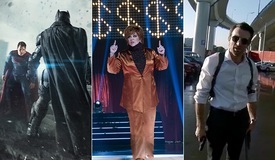 "Moviegoers can't wait for the ‘Mockingjay' finale of her phenomenally successful ‘Hunger Games' franchise," says Karger, "but we're also excited to see Jennifer in a new film - ‘Joy' - from David O. Russell, who previously directed her to Oscar nods for ‘Silver Linings Playbook' and ‘American Hustle.'" Robert Downey, Jr., returning as Tony Stark/Iron Man in "Avengers: Age of Ultron," has consistently ranked as a top pick on the Fandango Hot List over the past five years. "For the sequel to the biggest Marvel movie ever," Karger says, "fans can't get enough of Downey as the man in the iron suit." For the top male and female rising stars, fans picked Irish actor Jamie Dornan (as Christian Grey in "Fifty Shades of Grey") and "Star Wars: The Force Awakens" newcomer Daisy Ridley. "As the mysterious leading man in the most highly-anticipated literary adaptation of 2015, Jamie Dornan has what a big-screen movie star demands - looks, charming reputation and charisma to spare," says Karger. "Daisy Ridley also has a scent of mystery about her, since no one knows anything about her part, and fans are breathlessly waiting to find out what role she will play in the ‘Star Wars' universe." "Minions" rounds out the 2015 Hot List as the top family pick. "Parents and kids alike are looking forward to the third outing of the ‘Despicable Me' franchise to discover the origin of everyone's favorite little yellow creatures," says Karger. 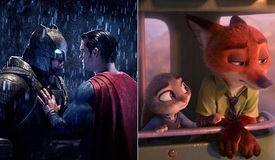 Fandango Chief Correspondent Karger also weighed in with his own personal picks for 2015's Most Anticipated Movies, which are, in descending order, "Tomorrowland," "Ant-Man," "Fifty Shades of Grey," "Mission Impossible 5," and "Kingsman: The Secret Service." 'Tomorrowland' is the 2015 movie I'm most looking forward to seeing," says Karger. "The smashing teaser trailer and the unbeatable combination of George Clooney and director Brad Bird (‘The Incredibles,' ‘Mission Impossible: Ghost Protocol') promises a smart, grand scale sci-fi fantasy adventure." 1. "Star Wars: The Force Awakens"
2. "Avengers: Age of Ultron"
3. "The Hunger Games: Mockingjay - Part 2"
4. "Fifty Shades of Grey"
Fandango, the nation's leading moviegoer destination, sells tickets to more than 25,000 screens nationwide. 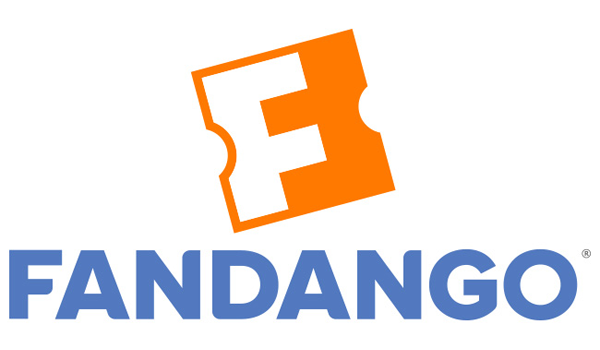 Fandango entertains and informs consumers with reviews, commentary, celebrity interviews and trailers, and offers the ability to quickly select a film, plan where and when to see it, and conveniently buy tickets in advance. For many theaters, fans can print their tickets at home or receive them as a paperless Mobile Ticket on their smartphones. Fandango's top-ranking movie ticketing apps, with more than 44 million downloads, are available on the iPhone and iPad, Android, and many other platforms. 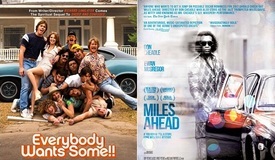 Fandango is enjoyed by more than 30 million online and mobile visitors each month, according to comScore. Film fans also find Fandango on Facebook at www.facebook.com/fandango and on Twitter @Fandango.